Located in Visalia, California, in the heart of the central valley, Thimble Towne has served the quilting and sewing community for the last 15 years. We carry quality 100% cotton fabrics, an array of notions, books, patterns, Baby Lock sewing machines, Horn of America and Koala sewing furniture. Whether you are a first time quilter, experienced art quilter, enjoy garment sewing, or just want to learn a some new techniques, Thimble Towne’s extensive class offerings and workshops have something for everyone! Fire Island Hosta ~ Quiltworx.com, made by Certified Shop, Thimble Town! Here's shop owner, Jeremy Swaim on the deck at Quiltworx.com last week with his great version of Fire Island Hosta in solids. Quilted by Jeremy, himself! Kelly Volk Love love love the colors! Kay Briske-Cox I AM NOT AN ORANGE COLOR FAN BUT THIS IS BEAUTIFUL. VERY STRIKING. LOVE IT. I WOULD LOVE TO MAKE ONE. Sue Rose That is STUNNING! 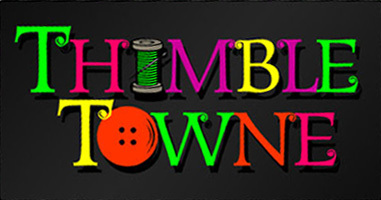 Sorry, there are no classes scheduled for Thimble Towne - Visalia Location at this time.